When Mark recently had to go away for a week, Patch waited patiently for him to come back, because he knew that he would. When Mark finally walked through that door again, Patch was ready — and completely lost his mind at seeing his best friend again. 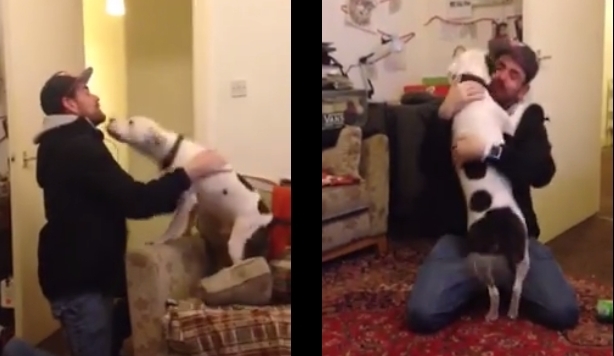 Responses to "Rescue Dog Loses His Mind When His New Dad Comes Home "